HomeShop SmallGift GuidesGalentine’s Day Yay! Thanks to the genius of Amy Poehler, now we even have a special day to celebrate our bff’s – Galentine’s Day. If you are looking for a gift, or gesture of affection, for your special long distance gal this Galentine’s Day, here’s a list I put together. Print out emails between the two of you and bind them into a mini book for her. You can get as ambitious with this as you want – print the whole year’s worth of exchanges – or keep it simple with an exchange or two you particularly fancy. When words fail you, let music show your friend just how awesome you think she is. Remember when you used to make mix cd’s to let people know you really like them? It’s like that, except now you save her from having to find places to store the cd case. Check out our most recent love letter playlist. Your friendship is amazing. How many times have you been told,”You guys should have your own sitcom together?” A lot, because you guys rule. Now you can hire someone to create, perform and record a song to commemorate your awesome friendship! Paint you a song will do that for you, plus, they’re offering a 30% discount just for the Punky Moms family until the end of this month, using the code PUNKYMOMS2016! Even mamas that love to cook, enjoy the treat of not having to. Send her a meal for Galentine’s Day from her favorite local restaurant and have it delivered to her one evening. Extra bonus points if you splurge for a meal for the entire family. Let her know you’re thinking of her every month, with a sock subscription for Galentine’s Day! Fun socks, as I like to call them, are my favorite small gift to give to people I love. With Foot Cardigan you can send them a pair of socks every month for $9/ month. You can choose the length of time you’d like to send them for or cancel the subscription whenever you want – 3,6, 12 months – and get billed on a monthly basis for them. P.S. they also offer a sock subscription for kids! Few things make me feel more loved, than when my bff sends me, “would you wear this?” texts and the packages filled with cute thrifted dresses and outfits that follow. It’s almost like I can see her running over to me from across the thrift store with the perfect treasure she scored in my size, when I open the package. I hope she feels the same way when I reciprocate. Everyone has a coffee shop or cafe that they love to haunt. Find out your friend’s favorite local spot (or maybe you already know) and call in a gift certificate for her. You can let her know something is waiting for her there, or call one of her local friends to grab it and give it to her. Remember, just like any romantic relationship, our friendships need love and attention too. And also just like any romantic relationship, you should remember to show your friends love and attention all year long, not just for Galentine’s Day. Some of these ideas are things my closest friends and I have done for each other on no special occasion at all. What other treats are we missing? How else do you spoil your lady for Galentine’s Day? I love all of these ideas! 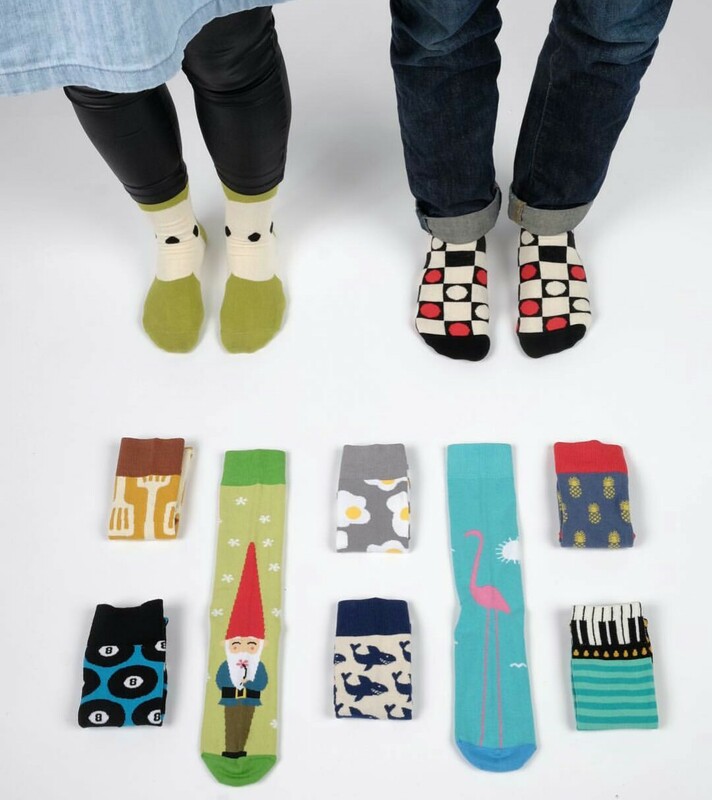 I especially love the sock subscription idea…who wouldn’t like to get cute socks every month! ?